One thing that came out in the discussion on the last post on respect was the number of women who married what they thought were godly Christian men with strong leadership skills who turned into husbands from hell with Narcissistic Personality Disorder. The label Narcissistic Personality Disorder is a designation for what is basically excessive self-absorption. Here is a description from the Mayo Clinic. Narcissistic personality disorder is one of several types of personality disorders. Personality disorders are conditions in which people have traits that cause them to feel and behave in socially distressing ways, limiting their ability to function in relationships and in other areas of their life, such as work or school. The National Library of Medicine has a more detailed description here. I found this description of how Scripture talks of such self-absorption helpful. I have a theory about why many Christian women who married a “godly man” they met at Super Big Megachurch or Joe Christian College wake up one day actually married to a man with classic, unhealthy, socially destructive self-absorption. Exciting churches and colleges are a draw to men with the seeds of such issues already growing in their hearts (we all have those seeds based on our fallen nature, but based on their upbringing or other factors, some people are primed for full blown issues in the future). At my Christian college, we called them the Big Men on Campus. They were the clear leaders on campus—groomed by older faculty, involved in most everything, people surrounding them and following them, with many young Christian women longing to be their wives. Throughout my years in ministry, I have noted regularly that some Christians have a poor ability to distinguish between spiritual gifts and talents. Someone may be a motivating public speaker or incredible musician, and we think they are therefore especially gifted by the Holy Spirit for a great public ministry. No, those are TALENTS. And they do not correspond one-to-one with true gifts of the Spirit for long term fruitful ministry. Furthermore, the gifts of the Spirit work in conjunction with the fruits of the Spirit. Perhaps someone has the gift of prophecy or teaching, which is generally a publicly used gift. Uncoupled with the fruits of the Spirit listed in Galatians 5:22-23 (love, joy, peace, patience, kindness, goodness, faithfulness, gentleness, self-control), they easily become egomaniacs set up for public destruction of others who get in their way. Some men are gifted by the Spirit and then mistake the results of their giftedness (such as big numbers in their ministry) as fruit of the Spirit. But that’s not how the Bible talks about Spiritual fruit at all. The fruit of a gifted man who leans into the Holy Spirit is growth, not in numbers in his ministry, but in his love for others, his peace when things go wrong, his patience with those who disagree with him, his kindness to all, and his gentleness (or strength under control) when he is tempted to be harsh. It would be very bad on my part if I didn’t say that I know a number of those former Big Men on Campus who went on to humbly minister in churches in the middle of nowhere, and some that went on to minister in very public ministries without feeding their self-absorption in unhealthy ways. Often, I note that God brought a serious trial into their lives to change their direction. Cancer. Personal failure in their family. Death of a loved one. Humiliating conflict in ministry. Loss of a child. Suffering has an amazing way of destroying our naive notions of ministry and, more importantly, our naive notions of how WE are going to do ministry right. They failed. They suffered. And then they emerged as humble, servant leaders dependent on the Holy Spirit, ready to truly love and shepherd those God has called them to love and shepherd. You may be naturally attracted to the showman in your church or college. And he may be a great guy. But the things that will indicate his best character traits are his humility and ability to serve. Is he kind when no one is looking? Is he patient with those smaller or weaker than him? Would he rather die than work behind the scenes in the nursery? Have you ever known him to clean the bathroom at church when no one is looking? Is he gentle with you?! Furthermore, I strongly encourage you to consider and value the men with the gifts of serving, giving, or mercy. Few notice these men. Some with an improper understanding of spiritual gifts, talents, and fruits may dismiss such men as being poor Christians for only serving in the background. But those behind the scene places in a church or school can hold the deepest treasures in terms of men who will love and serve their wife and family faithfully. I thank God regularly for all the men at Christian college He kept me from for whom I had misguided desires. Then, one day a quiet kid fixed my computer, and I fell in love. As Garth Brooks says, thank God for unanswered prayers. THANK YOU! I have tears streaming down my face right now because my 20-year-old sister in law is weeks away from marrying a certifiable Big Man on Campus… We see every warning sign listed here and no one in the family wants to hear about it. I am praying for a miracle – breaking up or a major change in his heart that can happen without inflicting much extreme sorrow on this poor girl. I hope many women read this post and take it to heart! I will pray with you for her and him right now. This post made me incredibly grateful for a husband who embodies that bolded section. So thankful for your blog – it is blessing each time I read it (and is often like reading my own thoughts). You write: “But those [men] behind the scene places in a church or school can hold the deepest treasures in terms of men who will love and serve their wife and family faithfully.” Yes, I wholeheartedly agree. NPD is only ONE thing Christians can suffer from. Bi-polar, Boarderline Personality Disorder, schizophrenia, ADHD, Aspergers, Intermittent Explosive Disorder… And the list goes on (and on and on). And, as always, these things can afflict both men and women. Aspergers, ADHD, and some of the others on the list may be present in the shy, behind the scene guys/gals. I don't know if there is a rise in these ailments because of better living through chemistry (pesticides, herbicides, vaccinations, genetic mishandling of our food, over-processing our food etc… this list goes on as well) or if we are just becoming more aware of how our brains have been affected by the fall. All I know is that too often the church has pat answers for hurting people. Sorry. This comment is long but I didn't feel like making a post out of it. So many of these ailments are just under the radar. I know of a support group for those married to ADHD. Man on there said that their future spouse was attentive and empathetic and many other good qualities. But once the thrill of the chase was over (adrenaline helps ADHDers focus) and they were securely married the ADHDer let down their guard and things became impossible often resulting in divorce because the ADHDer had lost interest and wasn't willing to work things out. We simply can't always tell before we get married what we are getting into. But what we can do (I'm talking about the church, now, more than Wendy or the commenters here) is to make room for all these factors and don't just assume it's because of some gender issue. People are far more complex than the cookie-cutter gender issues that the church has reduced things down to. And over-focusing on gender has allowed other things like NPD and ADHD issues to fall through the cracks. Real people are suffering for it. Church leadership turns a blind eye and supports the husband because he 'serves' in needed postions. I respected my now ex-husband for 18+ years, in turn, I received a divorce summons and was told to leave the family home. I do not believe that the subject of respect CAN be respectfully and fully addressed without assessing the multitude of variables that exist in many marriages. Narcissistic Personalities are not necessarily extroverts. That means you will find them all over the place. In small churches, big churches or you may find them in your family. Narcissists are not willing to be corrected. They do not submit to authority and will find ways around that. Some homeschoolers are narcissists. Our society produces more and more of them by raising children that think they have to have an audience for everything. Every sport, every school function, everything learned including bible verses requires applause and competition. Children do not suffer consequences at school because parents are sure that the adult has made a mistake or they brutalize the child for embarrassing them to the public. That is how it is possible for a “Christian” parent to cause their child to become that way. BI-Polar is a chemical imbalance in the brain that must be treated with medication and then it is only a manageable, not curable disorder. The same for schizophrenia. Believers are affected by these brain diseases through no fault of their own. It requires enormous amounts of grace and love to get through it with them and to support their family members. Would you blame someone for getting cancer and putting everyone through the ordeal of going through the treatment of it including the emotional ups and downs? ADHDers do not lose interest in their spouses because they have trouble focusing. It is an attention problem that affects learning and tasks, not a sin problem. If they use it for an excuse for sin then you are looking at something bigger. Once again, someone not being willing to be accountable for their own behavior. As someone with ADHD and with God loving faithful children with ADHD I am deeply offended. And I don't offend easily because a tendency of the condition is to blurt things out before having the chance to think about it. So I cut people a lot of slack. But this hurts. To not recognize that an individual is excusing their sin and lump millions of people together is just a horrible horrible thing to do. What you don't know is that ADHD people are often your Pastors and worship leaders. Dr. Tim Kimmel author of Grace Based Parenting and founder of Family Matters is ADHD. He speaks of it often. They are the creative people in your congregation, very often (not always). They are outgoing and shy. It is a frustrating condition at times but I wouldn't trade with the overly organized types for anything. Most of all, it is not SIN or MENTAL ILLNESS. Just as dyslexia is not sin or mental illness. You want to make sure you marry someone that is going to stick? Look at their character and not just how they make you feel at the moment. Do they have trouble admitting when they are wrong? Will they choke before they apologize? When they apologize do they find someway to still blame it on someone or something else? Do you see someone that is growing in the Lord? If you have the Holy Spirit indwelling then ask Him and be willing to hear the answer if it goes against what your heart wants. While I may blurt things out unintentionally sometimes because of ADHD it is still mine to own if it hurts someone or even if it just obnoxiously interrupts someone already speaking. I don't get a pass. I know that I have responded to both blog and comments at once but you have no idea how hurtful you can be by being ignorant or throwing out theories. Please make an effort to read about the conditions before lumping them all together with sin. Mel, I'm not sure why you are deeply hurt and offended by the post and subsequent comments. Only Mara has even mentioned ADHD and then in the context of one individual's experience with a spouse with ADHD. I didn't her comment as a broad generalization of negative behavior attributed to all those with ADHD. I've known my fair share of folks with ADHD (and Bipolar Disorder and Aspergers and Manic Depressive Disorder and …). Some manage it well. Some do not. I praise God with you that you and your children have been successful managing whatever particular issues have come with the diagnosis of ADHD for yourselves. Also, if you reread Mara's comments, I believe she's lobbying for the Church to do a better job of not discounting these issues as simple sin issues and instead counseling people in light of the real physical, chemical issues at play. At least that was how I read it. Wendy, you read my comment correctly. Mel, you did not and jumped to unnecessary conclusions. My comment above was embarrassingly long already. I didn't feel I had the space to go into details about how the full spectrum of ADHD ranges from ADHD light to severe, or how often there are co-morbid issues like Bi-polar or NPD, or how different ones managed their disorders, some well, some not so good, or how some completely deny that their ADHD exists and instead blames their spouse and children and everybody else for the chaos that arises from their disorder. I know ADHD is not sin. And I know it's not going to be solved just by sprinkling some Christian pixie dust over the issue. I'm married to ADHD. I have been for over 25 years. He's a good man with a bad disorder. We have been on the brink of divorce more times than I can tell you, mostly because he jumped to conclusions concerning situations that were wrong. My husband also has a co-morbid bad temper (got that from his German family), and perhaps the boarderline-personality disorder that I now suspect. These things have caused a great strain on his relationship with all four of his children, besides myself. But I AM THE ONE who loves and respects my ADHDer and have coached my children to see beyond the disorder. I AM THE ONE who has encouraged them to see the man who would give them the shirt off his back. And now the three older ones who are living on their own, who moved out because their father was driving them crazy, they have developed loving relationships with him because I helped mediate. My youngest daughter at home still struggles with her relationship with her dad. He is very difficult to live with. But he can't see that. He often thinks we are the problems. If we'd just get out stuff together, everything would be okay. He used to be a pastor and praise and worship leader. He's still an amazing musician. But now he's a backslidden, foul-mouthed, filthy-minded alcoholic working in a factory with men with worse misogynous tendencies than him. And I'm still married to him, working out how to love and respect him even though he curses the God that I love and that he used to love. So Mel, then next time you see something that upsets you, perhaps you should take the advice I am always having to give my husband. DON'T shoot first and ask questions later. You might find that the person who has ticked you off actually has more understanding of your life and situation than you thought. ADHD people can be a delight. I know. That's one of the things that drew me to my man and one of the things that keeps me hanging on through the dark times. a pseudonym so that I use so that I can be honest about my very real struggles in the harsh world of brain disorders while still not shaming and dishonoring a good man with a bad disorder. Hmmm. I too have ADHD. With a balanced life and some excellent stimulant medication (only diagnosed a year ago at 38), I am completely normal. LOL…for an ADHD'r! But before I go any further…my ADHD is not an excuse for sin. It is just something that makes this walk harder. True believers convicted of their sin and in the process of being transformed by the Holy Spirit HATE their sin, whether they have ADHD or not. That is the difference between a saved and unsaved ADHD'r. And hopefully a few other bits and pieces. I digress…I actually dropped by to comment regarding the NPD. Please be careful with this one folks. As a mother, sister, wife and daughter of males with Asperger's Syndrome (neuro-developmental disorder in the autism spectrum)I know that they are often severely misunderstood and can be thought of as narcissistic, manipulative or emotionally cold or immature. Sometimes they are, and I don't want to dismiss anyone's difficult experience. It's just that I have dealt with genuinely evil narcissists and sociopaths on more than one occasion, but have found them to be the exception not the rule with seemingly narcissistic men. On the other hand, sometimes what you are dealing with is just an aspie man who is sinning. A greater understanding of this can help to save marriages and goes a long way towards healing wounds. This I can attest to! My experience with Borderline Personality sufferers is the same…all of the ones I have known well enough to comment on are aspie women (plus a couple of men) who have never been diagnosed. Add trauma or crisis into the mix and hey presto…BPD. I am by no means saying this covers all BPD's. But it helped me enormously in my ability to have genuine compassion for the ones I have known. (Read “Get Me Out of Here” by Rachel Reiland for an inspiring account of BPD recovery and God's saving grace). Something is being missed in our current diagnosis process, and as most of these folks have grown up with no insight into their differences, they carry a lot of baggage. ADHD'ers can be the same. Bipolar II is the most common misdiagnosis for ADHD sufferers. We sure can look like we have it. I had that label for 10 years although it never really fit. It helped to get help, but since the correct diagnosis and medication, all BP symptoms are gone. Anyway, I hope my comments aren't too off topic, but I was glad your readers raised the issue of other disorders as they are important (if difficult and emotional!) to talk about and there is little information that tells the full picture. I actually think the insight I gained into the interplay between these disorders (e.g. Asperger's and BPD/NPD, ADHD & Bipolar II) over the past two years began to emerge during the process of my son's diagnosis of ADHD?Aspergers's/Tourette's Syndrome. As my husband and I began to understand our own issues (he at one point was diagnosed BPD when in crisis, but isn't) I believe this understanding was a gift from the Lord. I completed a psychology before giving it up as I couldn't reconcile most of it with my faith, so I am aware of the current understanding of all of these disorders. I think there are many errors in our understanding of these disorders(and I by no means have the answers!). OPbviously as Christians we have more of the truth about human behaviour and sin, but we are still learning in this area. There are also strong similarities between the sensory overload that people on the autisitic spectrum experience, and those with ADHD and Tourette's. That is often where the extreme responses (e.g. aggression) or emotional shut-down comes from. Please this is really worth looking into if any of this makes sense and is sounding familiar! I share some insight in case it helps someone. It has helped my family immensely. Blessings in Christ. I'm not a psychologist, but does slapping the label “disorder” on someone automatically excuse that person's behavior? If so, then I think we should stop calling Narcissism a disorder, and just call it pride. Ok, maybe there are there are the rare few who are actually mentally incapable of humble thinking/behavior, but most have the ability to change. They're just not being called out. Thanks for the great post, Wendy. I wholeheartedly agree with you. Well, I think it's pathological pride, and it's not identified with issues in brain chemistry, and I haven't read recommendations of medicines to treat it, so yes, I think NPD is fundamentally a sin issue that was not dealt with early on and became rooted deeply in the psyche. But other disorders have a more clearly linked chemical component, recognized by the fact that medicine can be an effective means of treatment. Depression is a particular one that obviously has a spiritual component. I don't call depression sin at all. But I do think it's a condition the Bible addresses, and it has blessed my friends with chronic depression to call on that Scripture ALONG WITH taking appropriate medicine that addresses the chemical imbalances that exacerbate it. I have a strong gut reaction to anyone who cautions me about not lumping NPD in with Aspergers. My husband and son are aspies, or high functioning autistic males as the diagnostic manual now prefers. I do not lump those two together. With Aspergers, there are gifts as well as weaknesses associated with it. I could write a looooooooong article on that, but I'm not today at least. My son's Aspie mind results in some tendencies toward particular sins (lack of empathy, self-absorption, general impatience and rudeness), and my job is to disciple him how to recognize that tendency and teach him how to love and empathize with others in a way that comes naturally to others. He's a sweet kid and has learned much through gentle parenting methods which has blessed my heart. One more morning comment, I would REALLY like to limit discussions of disorders that are distinctly different from Narcissistic Personality Disorder. From this point, I think the purposes of this post are best served focusing on that particular issue. There is simply no way in a single post or comment thread to thoroughly deal with the breadth of psychological diagnosis that could be made. A friend who prefers to remain anonymous said this to me by email. 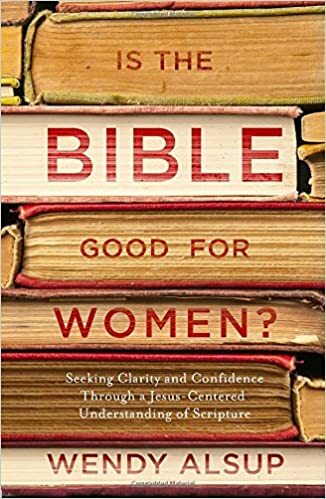 “Since our (Christian) college days, my husband and I have seen first hand the devastating fallout when those with such traits are not recognized early on and are allowed to take leadership within the Body. It's been humbling for us to witness and very painful. I'm so thankful God graced me with the husband I have (and that he protected me from other matches had timing or circumstances in college been different). Also, I am incredibly thankful that God has the power to bring personal change, especially in a culture that largely does not seem to believe people change. I think her question/observation is spot on. I think the point Wendy is trying to make is that too often things like NPD in ministry are overlooked because the person who has it SERVES A PURPOSE! As long as said pastor or worship leader is bringing in the numbers then everything else can be swept under the rug, at least until you can't vacuum over the bump anymore. I believe that because of the fall we have a whole host of “disorders” that we haven't even figured out yet. I also believe that those disorders are exacerbated by our sin nature. And I believe that God is big enough to deal with both sides if we are willing as a church body to deal with the fall and all of the ramifications of that fall for our physical, mental and spiritual beings. Wendy, Thank you for making the distinction between spiritual gifts and talents. I SO agree with you that these two areas tend to get lumped together in the modern church and the line between them is fuzzy if not totally convoluted. I'm so happy that NPD is being discussed in ANY manner within the church. I grew up in a home with an NPD parent. After years of individual therapy, group therapy, study, reflection, and healing I have learned a lot. It's often a rather silent disorder, partly because these people often do serve a purpose, like other comments have mentioned. But, it is also silent because of the importance to keep the secret and maintain the image that the narcissist demands. Those with less “power” (the narcissist's children, family, co-workers, subordinates, etc.) have difficulty in challenging the narcissist. If they do, they will be promptly cut-off– cut-off emotionally, fired from a job, or any other manner of being removed from the position and relationship. However, if you fulfill the narcissist's “supply” (meet their ego needs) you will remain in a favorable position. This makes it rather difficult to have any sort of constructive conversation regarding the narcissists behavior. Being cut-off from someone you care about so deeply can be a difficult thing to maneuver. Two other points: 1. In my studying I've learned that narcissism should be looked at like a spectrum. We all have narcissistic tendencies and behaviors. However, the person with the full disorder is further along that spectrum. 2. For a complete diagnosis and understanding of NPD it is helpful to read the section on it in the DSM (Diagnostic and Statistical Manual for Mental Disorders). The description of NPD and required behaviors for diagnosis in the 4th edition really helped me to understand NPD. (The 5th edition just came out and I haven't read it yet.) An official diagnosis must be made by a certified psychologist, however the ironic difficulty is that most NPDers will not want to see someone for a diagnosis or help. And finally, I know the original post was speaking of husbands that are narcissistic, however, I really wanted to point out that many times women are NPD too. Female behaviors can often be more covert than masculine NPD. The DSM states that of those diagnosed NPD 50-75% are male. However, if you consider the relative lack of official diagnoses and that female NPDers are more covert in their behaviors, maybe the numbers are actually rather different. I'm not sure, and I'm not sure we'll ever know. I'd love to recommend further reading if anybody is interested. Feel free to recommend further reading, Destiney. Destiney and Beth seem 'spot on' in their ability to articulate the NPD person. Thanks for your thoughts ladies! It may be obvious to some, but I don't absolutely agree with every part of each book. A discerning reader, with their Bible in hand/heart, can weed out what needs to be ignored. That being said, there is still quite a bit of valuable wisdom, especially for those without experience negotiating personality disorders. Freeing Yourself From the Narcissist in Your Life by Linda Martinez-Lewis, Ph.D. Thanks, Wendy! It's an honor to use some of my story to help others. Two other great resources are Why Does He Do That? by Lundy Bancroft and A Cry for Justice by Jeff Crippen and Anna Wood. If you've been living with a narcissist, the descriptions in these books will hit you between the eyes, and you will feel like the author has been observing your life with this person. Those who haven't lived it often believe that the narcissist is just a garden variety sinner. However, the behavior is truly pathological, yet often not easily recognized by an outsider. Any person in ministry, particularly pastors, need to understand NPD because they will encounter it at some point. I have been wondering if narcissism is more prevalent within the Christian community than outside, which seems counter-intuitive, yet I know quite a number of narcissists within my church circles. Perhaps the supposed connection with God appeals to them since they see themselves as godlike and can then claim that their actions are God's leading. I also think that the teaching of submission/headship fuels the out-of-control egos of these men. Sorry if that was your reaction, it certainly was not my intention to provide anything but a heartfelt encourgement for people to consider alternatives…not directed at you. My intention was merely to raise awareness that sometimes people can see descriptions of NPD and think “oh, that's exactly like my…” when in fact, it isn't. I love the “high functioning autistic males” and females in my life…they are a great balance to my own traits. They are bright, funny and definitely have gifts of their own! I just have seen marriages fall apart and bitter adult children due to not understanding the traits. Sorry if I went off topic. I've met personally with Jeff Crippen and really respect his burden and heart for training pastors to recognize abuse. I think that men with unhealthy egos and pathological self-absorption will misuse many true doctrines, including submission and headship. I don't think that undermines the doctrine, however. I wrote in my Ephesians study that woe to all of us if we can only hope to live out our righteous obligations if everyone else around us is doing theirs. That's not realistic in any situation, and I think we are regularly called to wrestle with the Spirit on how we can obey what God calls us to when those around us misuse truth. I would love to focus on the issue of attachment in parenting. I think a potential cause for the high number of men with pathological personality issues can be traced to poor parenting strategies, a la the Pearls and Bill Gothard, that used to be mainstream in conservative Christianity. No worries, Sherryn. Thanks for clarifying. Thank you for addressing NPD. As a survivor of an emotionally abusive marriage, it was only after the fact that I put the pieces together. I agree 100% with Destiney's description of filling the narcissist's supply or being cut-off if you fail or challenge him. I am concerned that too many Christian marital resources do not adequately address the issue of NPD and abuse. Thus a spouse who finds herself in an abusive situation tries to apply principles for a normal,healthy marriage to one that is not. She comes under self condemnation as well as the criticism of those are unaware of what is at the root of the problem. Have we stuck our heads in the sand and pretended that problems like these are only among non-Christians? If so, we are unprepared for ourselves and unprepared to help others. I am grateful for Jeff Crippen and others who are speaking out within the Christian and reformed community re: something that has been inadequately addressed IMO. I do see movement on this front, but you are exactly right. Among the joys and challenges of marriage, a particular joy of mine regarding my husband is how he exemplifies servanthood in the church. Our family is on the clean crew at church a couple of times a month. After the service, the four of us pick up and empty the trash as well as clean and restock the bathrooms. My 12 year old son works alongside my husband happily serving. I am loving what my son is seeing in his dad! My husband was not a big man on campus. He was involved in the Christian Medical Society, in missions work, was godly and funny and kind. No ideas of grandiosity. I even went to Africa and observed him serve the poor. At no time did I have him pegged for NPD, because the image he “worshipped” of himself was as a nice guy. There is a range in NPD behavior, some of it very misleading. The main disorder is that they worship an image of themselves above all else. For many years in my marriage, I felt as if my children and I were 2-dimentional projections on a bubble of which he was the center. How right I was. Red flags? He puts his needs before yours, consistantly. It could be tricky if his needs appear to be scripturally sound. In med school, he put his need to discuss areas of disagreement all night if need be before I was on call. Sleep is so crucial before going on call that I cried and begged him to let it go. But God doesn't want the sun set on our anger, he'd reply. No amount of begging got me a good night's sleep if we disagreed on something. I believed this was the man God wanted me to marry. God could not have really wanted me to suffer at this man's hands for a quarter decade. NPD can be subtle. I would ask one question today: is he cherishing you? if not, walk away. My husband is a quiet man with the heart of a shepherd. He's not politically savvy or a charismatic leader, but he wants to serve in full-time ministry, and I hope that he won't be looked over because he's not super slick like some of the BMoC types. Wendy, thank you so much for this article. I could say so much how I can relate and about using the strong, leadership type as the model of men I liked. I am widow now but was in a marriage characteristic of what you have discussed. Women with low self-esteem are especially prone to select strong characteristics in men but then end up getting bullied. Unfortunately, it took many years before I was able to see that tendency in myself and have been asking the Lord to help reshape my thinking to what a godly husband should look like. I think you are right in pointing out the criteria by which a potential mate is selected. I recently wrote this article here(http://theothoughts.com/2013/07/28/re-evaluating-spiritual-leadership/), leveraging a Her.meneutics article, about how the concept of leadership has been defined as those men who take charge and that being the defining characteristic of a spiritual leader. While that does not necessarily mean that strong leadership = selfish or abusive tendencies, I do think that defining a leader in this way can make these type of unions more prevalent. Thank you for this! I do not think my husband has NPD, but I do think that on a narcissistic personality index he would score higher than average. He absolutely does not fit the image of the Big Man on Campus and is comfortable serving behind the scenes and helping the least of them. However if for one second you question him, even in the most loving manner as described by Scripture, you have committed the cardinal sin (unless he has already come to a conclusion himself about himself, which does on occasion happen). He can and will fly into what fits the description of a narcissistic rage. In other areas of life he is absolutely not narcissistic, but in the area of humbly being teachable? It's classic. These are the seeds of domestic violence. Would that we became more assured of ourselves in CHRIST so that we stop looking to men for our identity. LORD, help! Stop putting media expectations on who should be your husband or what he should look like. Stop going to these dating services. Prepare yourselves as women in CHRIST. The WORD of GOD says “He who finds a wife finds a good thing and obtains favor from the LORD”. What does that mean? It means that a male naturally seeks treasure. Let him find you. Seek JESUS, grow in HIM, not a man. When it is time, the man GOD prepares for you will come to you. I'm sorry but I had to add a comment to Sherryn's post. Sherryn your comment is very well thought through, but there is a very common but very understandable misinterpretation that may be taken from it. (I think you're saying what I'm about to say but worded different, but it may have been misinterpreted by other readers so I wanted to clarify a few details). “My experience with Borderline Personality sufferers is the same…all of the ones I have known well enough to comment on are aspie women (plus a couple of men) who have never been diagnosed. Add trauma or crisis into the mix and hey presto…BPD.” “Something is being missed in our current diagnosis process” “ADHD'ers can be the same. Bipolar II is the most common misdiagnosis for ADHD sufferers.” ” but since the correct diagnosis and medication, all BP symptoms are gone. ” “As my husband and I began to understand our own issues (he at one point was diagnosed BPD when in crisis, but isn't)”. I'm a mental health nurse who trained as a psychologist first, as well as having also studied neuroscience. Was going to go the whole way and be a psychiatrist but had to abandon that because my (now ex) husband actually had borderline personality disorder and very severely and had a severe breakdown just after our daughter was born just weeks before I was about to study a medical degree (which is a postgrad degree here, hence my previous undergrad studies in psychology and neuroscience). You wrote about how all the BPD sufferers you knew were undiagnosed aspergers sufferers. Then you wrote about how ADHD is often misdiagnosed as bipolar. I want to emphasize greatly, borderline PD is one of the most common (if not THE most common) misdiagnosis of female asperger sufferers. It's not “hey presto add trauma/crisis to aspergers and you get BPD”, it's actually women with aspergers often live very functional lives and never seek help or come in contact with mental health services until they suffer a trauma or crisis. Female aspergers is heavily undiagnosed, and amongst non-autism-specialised mental health workers (nurses/psychologists/psychiatrists), the mental health workers are only aware of male aspergers traits and are totally unaware that female sufferers are quite different in how they display aspergers traits to male sufferers, and “hey presto” they have an incorrect diagnosis of borderline PD slapped on them. I would hazard a guess that the majority (if not all) these women you know who are labelled as having borderline PD that you think are undiagnosed aspies, do in fact have aspergers and do not have borderline personality disorder at all and never did have borderline PD. Just as your husband was incorrectly labelled as having BPD when in crisis, it is a process that the majority of female aspies go through – they never had BPD – it's just a poor diagnosis made by a “professional” with no understanding of female aspergers. Been through it myself. I have aspergers (in the process of getting an official diagnosis but it's pretty obvious – it runs in my family, my daughter has it, my father has it, at least one of my brothers has it and I'm pretty sure my sister does too) and after I suffered post natal depression, I sought professional help. When my PND progressed to PTSD (caused by a combination of husband with actual BPD and drug induced psychoses turning extremely violent and the first counsellor I went to genuinely having NPD and getting off on abusing vulnerable young patients) I was then wrongly labelled as having BPD. In fact, nearly all women with aspergers who suffer a trauma and develop PTSD end up being misdiagnosed as having BPD. And it takes years, and finding a specialist with experience in female autistic spectrum disorder, before anyone realise these poor women never had BPD in the first place. Actually in my case, I never had any BPD symptoms to begin with other than briefly self harming as part of the PTSD I developed from daily beatings from my then-husband. There are 9 criteria for BPD (of which you need a minimum of 5 to have BPD) – too many psychs label aspie women who have suffered trauma with BPD because they meet only one or two of the criteria for BPD (usually just the self harm – which is something anyone with any experience in autistic spectrum disorders knows is common amongst ASD sufferers). I've been campaigning for the last decade to wake up so called “professionals” up to the fact that simply self harming does not mean a person has BPD. That MANY mental illnesses and MANY developmenal disorders (particularly the ASDs, including aspergers) can include self harm as a symptom and that approx 90% (or more) of people labelled with BPD are actually suffering from either a developmental disorder (autistic spectrum disorder/aspergers for example) or a mental illness (eg major depressive disorder, schizophrenia, general anxiety disorder, social anxiety disorder, post traumatic stress disorder, and more) and do not have BPD and never did. Something is definitely being missed in the diagnostic process of most so-called professionals. I've seen so many misdiagnoses in both my professional and personal life. My own misdiagnosis, my daughter was misdiagnoses originally having ADHD by a paediatrician with no specialist psych training at all (she was just a medical doctor with paediatric medical training) and tried to bully us into our daughter on medications, but I got her referred to a developmental specialist to make sure it really was ADHD before medications and it came back that she actually had autistic spectrum disorder and ADHD meds would have been the worst thing for her. My now-ex husband went through years of being dismissed as just a druggie before professionals realised he is seriously mentally ill. I have two of my closest friends misdiagnosed as having BPD – both suffer major depressive disorder and PTSD – and only meet the criteria for 2 of the 9 BPD symptoms (nowhere near the 5 minimum for even a diagnosis of mild BPD). Considering nearly all the general public suffer from 1-2 of the criteria of BPD (as personality disorders are basically only extreme versions of normal negative behaviour traits), meeting 1-2 criteria is insignificant. Thanks for sharing Sherryn. So few people know of the common misdiagnoses and the ADHD/bipolar and ASD/borderline PD misdiagnoses are sadly amongst the most common. I'm so sorry you and your husband had to go through the misery of misdiagnosis. I know all too well the damage misdiagnosis can do. Thankfully I now work in a supportive environment where we are encouraged to speak up for clients who have been misdiagnosed so no one has to suffer the terrible consequences that can sometimes happen to those misdiagnosed. I can't agree. Many of the narcissists I have met have great emotional bonds with their parents/caregivers. In fact were (and usually still are) spoilt rotten by their parents. My life was made a living hell by a narcissist, including to the point where she molested my daughter. She was diagnosed with narcisstic personality disorder long before she started her affair with my husband, long before she started to outright tell him to bash me and my daughter, and I fell for her act for years before I saw through her (just days before discovering her affair with my husband actually). She had a great a relationship with her parents, and still does. They refuse to accept her constant threats of violence made against my daughter – despite the fact that they know she violently abused her own daughter and her daughter was removed from her care. And they certainly refuse to accept my daughter's accusations of this woman molesting my daughter after my now-ex husband moved in with her and the court awarded him weekend visits (as they do here even with the most severely mentally ill, violent man – they even give shared custody to convicted male paedophiles here). I don't think it has anything to do with the popular parenting approaches. Narcissists come from all types of upbringing from the most neglected child to the most spoilt child and everything in between, even many children who had loving supportive Godly parents who neither neglected nor spoilt them. NPD comes from within a person. It is deep rooted sin and bad parenting is not to blame. Bad parenting can make NPD worse, but it doesn't cause it. Worst narcissist I ever came across was female. Just as you said, they are just better at hiding it than men. I think the main reason for discrepancies in the ratio of men and women being diagnosed is because of socialisation differences. Women are more likely to be diagnosed as having borderline personality disorder while men are more likely to be diagnosed as having antisocial personality disorder or narcissistic personality disorder. I can't remember the specific studies, but I have read a few studies done with psychs and are given patient profiles that are identical except for the gender is changed, and with identical symptom profiles it is found that most women were diagnosed with BPD while the men with the same profiles were usually diagnosed as ASPD or NPD. At the end of the day, I think there are equal numbers of men and women suffering the same problem, they just end up with different labels because of what is considered socially acceptable behaviour for men and women and how socially unacceptable behaviour is interpreted differently for men and women. Anonymous, I am sorry to hear of your experience. I caution all of us from drawing broad conclusions from single experiences. Any good study of the subject would include 100's or 1000's of cases and would reach conclusions based on a bell curve of results. There will always be outliers, exceptions that don't fit the rule.